So if you are not sure about your material, not sure about our equipment performance, we are enlarging our lab to be able to do more tests, in the coming new factory, GN is now building a big labratory. So in near future, more experimentation will be proceeded. 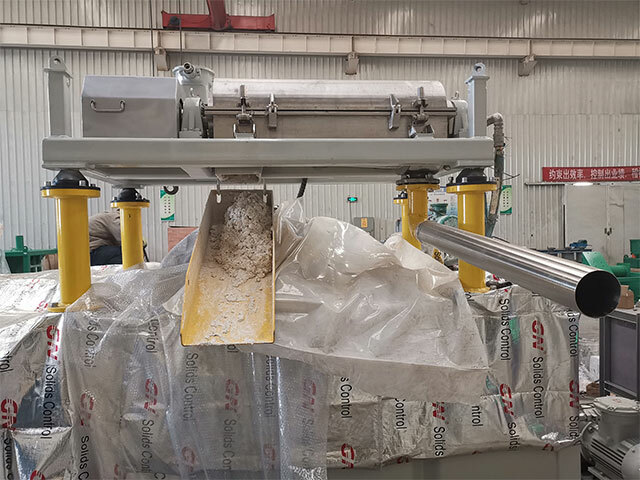 Recently a client sent few tons alumina to GN factory, then we simulate the situation, then proceed with the centrifuge. Well end of the story is the client happy with the result, and purchased the centrifuges. Well if it is hard to send us the sample, what should we do? Send the sample to the closest lab, and ask them to find out the slurry properties, and something as below will be helpful then. Or you can list all the info onto a table. Centrifuge is not like other equipment, we use one place, then we can assure performance in all other places. Except you can confirm it is very similar application, like oil gas drilling, or you are doing hydro vac slurry treatment.